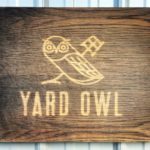 Join us for an afternoon at Yard Owl Craft Brewery. Continuing our tour of breweries in the 103rd Assembly District, we’ll visit Yard Owl – with master brewer James Walsh brewing in the traditional Belgian style. As a special bonus you might hear a story or two about when Brewmaster James Walsh used to let Abe brew with him in the early days of experimental stovetop Pale Ales. The event will start at 1pm and we’re asking for a suggested donation of $25 to help give our campaign a voice in the Primary. You can register on Facebook Event, or just show up!